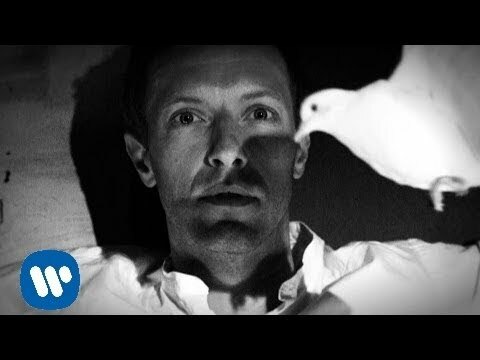 "Magic" is a song recorded by British alternative rock band Coldplay for their sixth studio album, Ghost Stories (2014). It was written and produced by band members Guy Berryman, Jonny Buckland, Will Champion, Chris Martin, with production assistance from Paul Epworth, Daniel Green, and Rik Simpson. The song was released as the lead single from Ghost Stories on 3 March 2014, by Parlophone. A beat consisting of a "muffled snare" and "dusty bass riff" is repeated throughout most of the song. As the song progresses, an organ is later added to the instrumentation which is eventually swapped out for a stomp-clap beat and again for a synth beat. Following the song's second chorus, these beats are gradually combined together while Martin sings in falsetto. The song's "anticlimactic" portion then decreases intensity until it has eventually resumed to simply a snare and bass riff. The song was recorded by the band during sessions for their sixth studio album in 2013, at their purpose-built studios The Bakery and The Beehive in North London, England, both originally constructed for work on their two previous studio albums, 2008's Viva la Vida or Death and All His Friends and 2011's Mylo Xyloto respectively. The song's bass riff, the first part of the song, was originally conceived by Guy Berryman during the band's recording sessions in February 2013. The song was then covered by singer/songwriter Lauren Aquilina for her BBC Radio 1 Maida Vale session.